Customers prefer IP3 SOLUTIONS - VOICE DATA VIDEO in Charlotte, North Carolina, for our range of telephone system guarantees, including emergency repair services, and ongoing training programs to cover our equipment. Learn more about all we can do to help your business thrive. Our company proudly represents some of the best names the industry has to offer. Before anything becomes an IP3 SOLUTIONS - VOICE DATA VIDEO product, it must be best-in-class in terms of ongoing reliability and overall value. Make sure you understand what is and what is not included in the warranty period with any other provider, as warranty terms vary between distributors. What may look like an extended warranty may just be a long-term maintenance agreement that could cost you more money over the life of the system. We want to make sure that you are delighted with your system installation and training. We realize that you may need to make changes after installation to get it just right. For this reason, we provide a 60-day dust settling period from the date of system installation, so any and all programming changes during that period are covered at no charge. A new system with all of the best features is a wasted investment if your team does not know how to use it properly. Our company provides ongoing training for the life of your system, as long as it is serviced solely by our company, and you are a regular maintenance client. The ongoing training of your staff and new recruits ensures that the system features are used fully to improve efficiency and ease of operation. 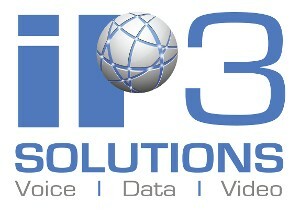 IP3 SOLUTIONS VOICE DATA VIDEO is only one of a few vendors on the East Coast that stipulates up front what parts will cost for the life of the system as long as our company is the sole provider of service for equipment. We are your telecommunications partner going forward, and all of our clients are treated fairly. Our team works hard to design and recommend the right system for your applications and future growth plans. Occasionally our clients simply outgrow a system or may want new technology. Our company guarantees the trade in value of your old system will go towards a new system from us. This program is another example of our ongoing commitment to the success of our clients.